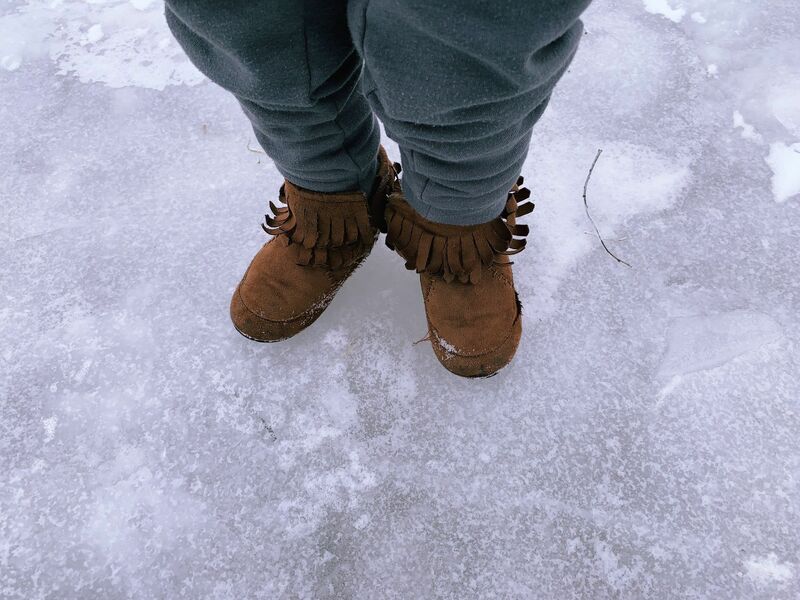 Her footwear wasn’t ideal, but my favorite little person took her first walk on a frozen lake this morning. She saw people ice fishing & asked if she could go out, too. Proud of my Upper Midwestern girl.